Culham Centre for Fusion Energy (CCFE) is developing a new simulation tool knwon as CHERAB for forward modelling diagnostics based on spectroscopic plasma emission. CHERAB is being used by fusion scientists to simulate all sorts of visible and infrared plasma measuring tools, known as diagnostics. The diagnostic systems measure the light output of the plasma to study properties such as its temperature and density. Inferring these properties requires an accurate understanding of how the light is produced and bounces around inside the machine. The more accurately we can model these systems the more accurate our measurements of fusion plasmas will be. Over the last few weeks, two important news have been published related to the preparations towards ITER operation. 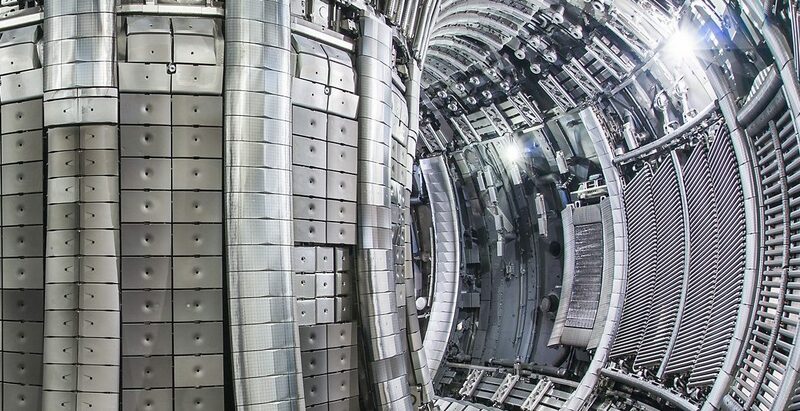 These news are regarding achievements at two experimental fusion reactors that have provided key data for the ITER project and have shown that we are a step closer to produce fusion energy. The paper entitled “Modelling of JET hybrid plasmas with emphasis on performance of combined ICRF and NBI heating” has been published by Nuclear Fusion. It advances our understanding of the optimisation of fusion performance of the recent Joint European Torus (JET) hybrid plasmas. The hybrid scenario is an advanced regime of tokamak plasma operation expected to be applied in ITER. It is characterized by a low plasma current Ip which allows operation at a high normalised beta as well as a safety factor at the plasma centre greater than 1 which is beneficial from the plasma stability point of view. The paper focuses on the impact of neutral beam injection (NBI) and specially ion cyclotron resonance frequency (ICRF) heating on the neutron production rate. The main scheme studied is minority hydrogen (H) in a deuterium (D) plasma with D beams. The modelling takes into account the synergy between ICRF and NBI heating through the second harmonic cyclotron resonance of D beam ions which allows us to assess its impact on the neutron rate RNT. Apart from the D scenario, the deuterium-tritium (DT) scenario is also assessed through an extrapolation of D high-performance hybrid discharges. These results are relevant for the forthcoming DTE2 campaign at JET where one of the goals is to achieve the highest possible fusion performance for a duration of more than 5 s.
One of the key requirements to achieve steady-state power production in a fusion reactor based on the so-called tokamak configuration is to generate non-inductive toroidal plasma current in an efficient way. 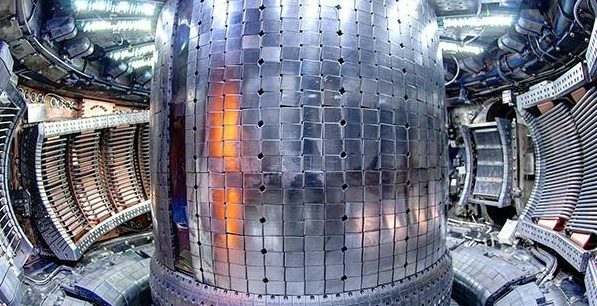 A recent paper published in Physical Review Letters entitled “Observation of Efficient Lower Hybrid Current Drive at High Density in Diverted Plasmas on the Alcator C-Mod Tokamak” reports on the use of lower hybrid current drive (LHCD) as an efficient mean to obtain non-inductive plasma current at high plasma densities in a diverted tokamak configuration such as Alcator C-Mod. Since June Culham Centre for Fusion Energy (CCFE) provides a new facility to fusion scientists, named the CUMULUS Modular Data Centre. The centre contains a new cloud-based computing platform that promises to process scientific data quicker, cheaper and more accurately than ever before. 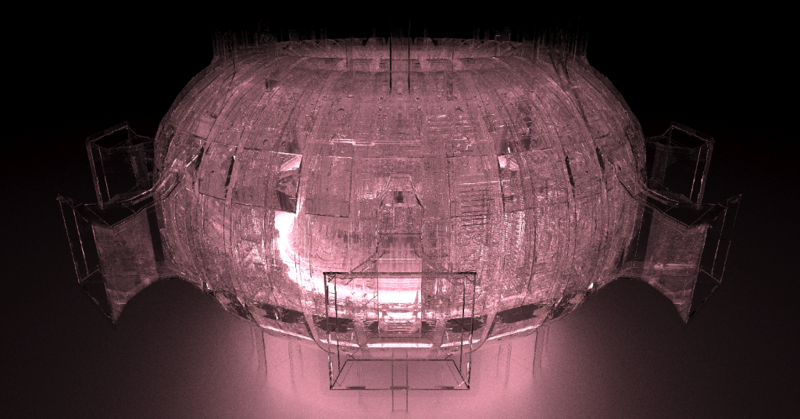 Scientific computing is an essential technology for assimilating and understanding the large quantities of data that are now commonplace in the fusion community, as well as carrying out complex predictive simulations of tokamak plasmas. To give an idea of where we are heading, the next-generation fusion experiment ITER will generate 2 petabytes of raw data each day (2,000 trillion bytes), more than JET has produced in its entire 34-year history!